To enter the book giveaway contest, simply leave a message for Gail in the comment section. You can tell her what you thought of her story! And that brings me to the purpose of today's guest post...Gail is here to tell you the story of how she first "fell in love with Jesus (Christ)"! Only she does not believe that "falling in love with Jesus," is a term that's consistently true. *The book giveaway contest starts today (Oct. 30) and will end on November 9. After an old-fashioned random selection conducted by me (Alexis), the winner will be announced in the comment section of this blog post, on Nov. 10. You must include your e-mail address with your comment so that if you win, we can contact you. It’s easy to toss religious or “spiritual” words around. To be honest, saying I’ve fallen in love with Jesus strikes me as presumptuous. From my six-decade perspective on life, I still cannot claim to have reached this pinnacle. If I had, I’d be a whole lot swifter to trust Him. If I had, my day-to-day reality would consist of far more gratitude and far less doubt. I’d take little slights less personally, and be quicker to offer both praise and prayers when things go awry. After all, “falling in love” implies immersing completely in the loved one’s world and will. Unfortunately, that’s not consistently true. To be honest, I still struggle with the same old tendencies that plagued me as a baby Christian, toddling along until I fall down, dusting myself off, and plunging in again. Oh, I’ve come a long way, but the road is no longer studded with starry, spiritually worded ideals. I love the way my granddaughter looks at me with sparkling blue eyes and asks, “Seriously?” Seriously is one of those words with a fresh nuance in the past decade or so. And that’s kind of how I feel attempting to delineate falling in love with Jesus, as if in one glorious moment, I lost myself in God’s ineffable love. No, the whole scenario is on a different level—we’re talking about something far beyond romantic love here. Falling in love means to relax fully in someone’s embrace, and to relax involves giving yourself permission to let go. Ahhh... that nasty phrase ... let go. In other words, not holding onto—part and parcel of trusting. And falling in love is all about trusting. Sometimes I think I’m getting worse at this, not better. I thought I’d be more patient by now, more in control of my emotions, kinder. Not so much. The astonishing thing, though, is that He never lets go of us. This reality keeps me in wonder. His irrevocable, unchangeable hold, like that incredibly strong grip He had on Peter, nearly drowning as he “proved his faith” Jesus’ grasp entrances me. Maybe simply to rest in the hold God has on us is what it truly means to fall in love with the divine come to earth. I think of the times I’ve sensed that hold most. On a truck ride through the Sahel, full of dread as we headed toward our mission station. My husband Lance’s excitement radiated through the back of his seat, but how could I possibly cope with a nursing child and a toddler in the extreme heat and isolation—and cobras? Then voila! A flowering pink bush appeared, right there in that blah world of endless sand. So like a mirage, it was, but real, and as heartening as cold water on a beyond boiling day. A few years later, while Lance did some army training in Colorado, our children took afternoon naps in our darkened hotel room. A sudden, overwhelming awe at all life’s good visited me, each gift a separate bright pinpoint, like those tiny, lighted campfires in a Gettysburg battle display we’d visited once. On this day, each spark marked God’s tenacious, concern for my little life. And then those times of feeling let down by people—describing those emotional wounds challenges even a writer. Yet one incident brings such comfort to me now that I hardly recall its prelude. I felt frozen by what seemed betrayal, but as I sprawled on the bed, a thaw occurred. I’m not sure what took place in my spirit, but my Creator made his nearness real. He was right there with me. He understood, and that was enough. Micro-inch by inch, I could let go of the hurt. Now, years later, I’ve experienced so many times like that, and seen many of my deepest longings fulfilled. But the trusting, the falling back into that love has definitely been gradual, a delicate, fragile slice at a time. This month, I await the release of my debut novel—something about this event reinforces the deep awareness of God’s love for me. Really, truly He wants us to be fulfilled and purposeful. But for the likes of me, the falling is always incomplete—a letting go forever in process. Gail believes our stories are our best gifts, and blooming late has its advantages. The pent-up novel fodder never ends. 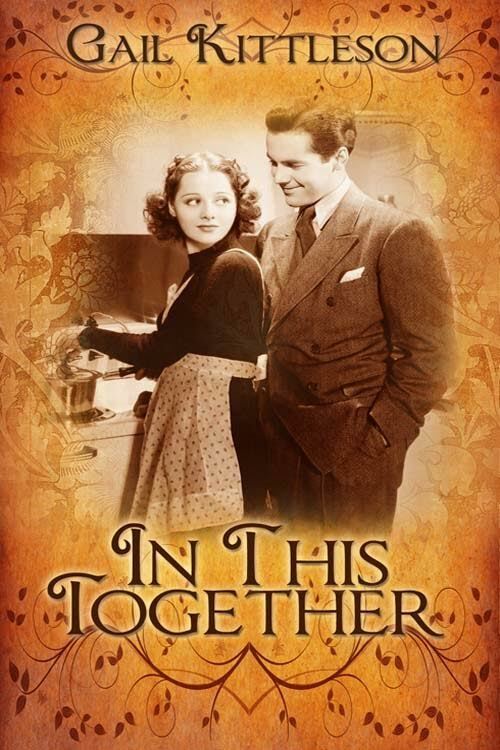 WhiteFire Publishing released Gail’s memoir, Catching Up With Daylight in 2013, and her debut women’s historical fiction, In This Together (Wild Rose Press/Vintage Line) greets the world on November 18, 2015. Another women's Christian historical fiction (World War II) has been contracted for February 2017 release, with two more in that series. Gail has also written two pioneer stories, as yet unpublished. Please feel free to contact her—meeting new writing and reading friends is the frosting on her cake! 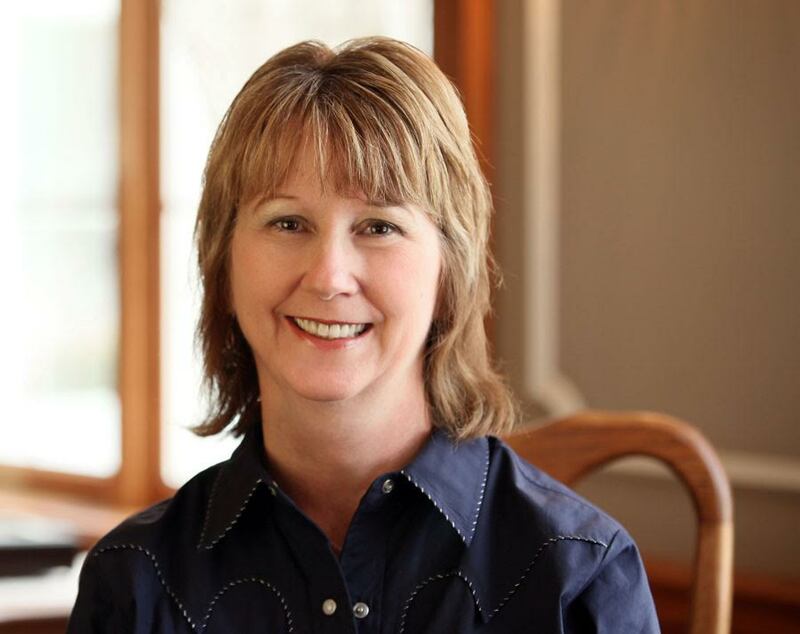 Gail's personal bio: After living in several locations through the years, Gail and her husband settled in rural northern Iowa, where they enjoy grandchildren and gardening. 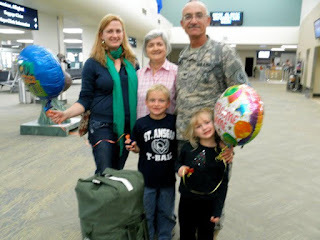 Their most unique living conditions occurred in Senegal, West Africa (missions), although her husband's Iraq deployments might qualify as even more interesting. Gail grew up on a fifties-sixties Iowa farm and rode a big yellow school bus long, motion-sick miles to public school, where her favorite teacher instilled a never-ending fascination with books. She graduated from Wartburg College and earned her M.A. in Teaching English as a Second Language at the University of Northern Iowa, taught college expository writing, and facilitates writing workshops whenever she can. 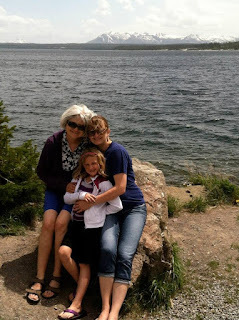 Favorite activities include geo-caching with the grandkiddos, walking, bicycling, and hiking in the Arizona Ponderosa pine forest in the winter months. 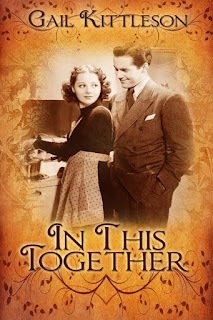 Let's welcome my good friend Mary Manners to the blog today! She's here to share another devotional that she wrote. The title of today's devotional is, "Boundaries," and it is quite appropriate. You'll understand why when you read the story from Mary's childhood experience. I will give you a clue: it involves a child testing the boundaries (given to her by her dad) when she receives a brand new bike. My seventh birthday was a momentous occasion mainly because in my family, turning seven meant I was sure to receive what I imagined, in my child’s mind, to be the greatest gift of all—a shiny new bike. It was a beauty—a splash of bubblegum pink with streamers flowing from curved handlebars. Pedal brakes and a chunky banana seat rounded out the mix. One look and I knew that suddenly I had my freedom, my independence, and the power to travel all the way to…the end of the block. It was better than the confines of our meager, chain-linked back yard. I grew up in Chicago, after all, and the streets could be a dangerous place. My dad taught me how to ride. An hour, a few scrapes and bumps later, and I was ready to go. No helmets back then and no fancy riding gear…just the wind at my back and pure pedal power. Dad outlined the riding boundaries, cautioning me not to cross the street at either end of the block or the alley that ran behind our house. Cars were dangerous. Dad’s firm warning rang through my mind for the first week or so, at least until my sister challenged me to a race around the block. We’d ride off in opposite directions, keeping our progress top-secret, until one of us returned to the starting line—and victory—at the front of our house. Guilt nagged as I launched myself, pedaling into the wind. To circle the block and claim my victory I’d have to cross the alley twice, breaking my dad’s rule. Yet, the desire to be one of the ‘Big Kids’ along with my sister only served to make me pedal faster. The sky smiled clear-blue as the streets whispered encouragement. What could possibly go wrong? Closing in on the alley, I picked up speed. The faster I crossed, the faster I would be done. No sound of an engine, nary a car in sight. Perfect until…Crash! My gaze kissed the cerulean sky as the front tire of my bike plowed a canyon into the passenger door of an approaching Chevy station wagon. I sailed over the hood to sprawl, several yards beyond, across the unyielding concrete. Needless to say, in the time it took for the frantic driver to scoop me off the cement, I knew that I suffered a much worse fate than losing the race to my sister. I’d broken my father’s steadfast rule. There was no choice but to return home and confess my transgression. The evidence was clearly etched over my cheeks…and my knees…and across my throbbing elbows. But, just as it is with my Heavenly Father, Dad was more concerned about my welfare than my transgression. He cleaned my wounds and we had a long talk. Dad repaired my bike and eventually my bruises—both physical and emotional—healed. I learned a valuable lesson that day, one that remains with me decades later. Boundaries are set for a reason—not to confine but to protect with the deepest love. Yet, even when our free will takes us across a dangerous road or down a shadowed alley, God our Father welcomes us home with open arms and forgiveness. When we stray, we must remember that God is waiting for our return with open arms. No sin or transgression can separate us from Him. Today's Falling in Love with Jesus story is told by bestselling indie author Sarah Monzon. She refers to Jesus Christ as "the boy next door." Read on to find out why Sarah thinks of Him in those terms and how she didn't really "fall" in love with Jesus, what happened to Sarah in her relationship with Jesus was even better. Now, nobody raise any stones to throw when I say that in my love story with God, Jesus is the boy next door. I'm not trying to be sacrilegious. Truly. But for me, that's who Jesus is—the boy next door. Think about the boy next door. Go ahead. Close your eyes and conjure up an image that the phrase paints. Got it? Here's what it looks like to me. The boy next door is someone familiar. Someone who's always been around. I don't remember who moved into the neighborhood first, him or me. He was always just...there. Sometimes I'd play at his house, and sometimes he'd play at mine. Occasionally there'd be a disagreement, but we could never stay mad at each other for long, and before I knew it we were best friends again. We'd hide out in our secret clubhouse and share secrets, and anytime I was afraid (and there were quite a few times I felt afraid as a child) he'd wrap his arms around me and make me feel safe. Thankfully, boy-next-door Jesus never moved away and neither did I. I grew up with him always right beside me. Now to the juicy part of the love story because every love story has one, right? In romance writing it's called the meet-cute. You know, when the hero and heroine's eyes meet across the room and electric currents leap between them. Or the heroine stumbles only to be caught in the hero's strong arms. Oops! Sorry to disappoint you, but my story doesn't have any romantic defining moments. You see, I never fell in love with Jesus. Grabbing for those stones again? Put them down. I never fell in love with Jesus. I GREW in love with Him. Because He was the boy next door, He was always in my life. Maybe it was love at first sight, but I can’t honestly claim that when I can’t recall the first sight moment. Like I said, He’s always been there. I've always loved him. But my love has grown. Every day. And will continue to grow until that boy next door finally comes to take me home with him as is bride. To live unbelievably, unfathomably, happily ever after. Sarah Monzon was raised in Florida (think warm, humid air, palm trees, white sandy beaches) and is currently living in central Washington (no, not the rugged mountains and towering evergreens. The dry, brown desert of rolling tumbleweeds and absolutely no trees). She wears the badges of Pastor's Wife and Stay-at-Home Mom with honor. Her constant companions are the two cutest humans under four feet tall: Elijah, 4 years old, and Arianna, 16 months. Her days are filled with picture books, Play-doh, LEGOs, and Hot Wheels. After the little ones head to bed, she spends time in adult "conversation" with made up people in a made up world (writing Christian fiction novels). Her debut novel, The Isaac Project, is available on Amazon. Here's a song that inspired HOPE in my heart tonight. If you're feeling weary or downhearted about life, this song is for you. If you need encouragement along your life journey, this song is for you. 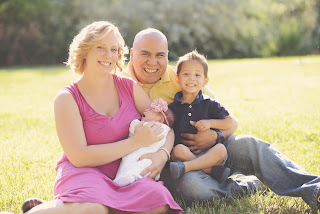 Welcome Juan-Jose to the blog! He works as an author and spends time tutoring school age children and youth. For years, as Luke Skywalker was hungry to know about the Force in the Star Wars fictional universe, I wanted to know what were God and His love. I wanted to have my own experiences. My mother was a church musician and most of my family was church people, especially my Uncle Ronald. When summer 1995 arrived, I was allowed to go to the big kid pool in the summer program I attended. Knowing the third-grade would meet me later that September, no one could tell me that I had not crossed that coming of age threshold. This was an important trip because I was not escorted as a toddler by my mother. At the time, this neighborhood was new for me, so I was not comfortable, but I knew I would not voice any opposition. For that opposition would result in this great moment to be over with. The sponsor looked at the collective whole, and inquired whether we all knew how swim. Before this date, my last remembered experience in a swimming pool was five years previous, and before that experience, I was held in my mother’s arms. So, like my companions, I agreed that I knew how to swim (though my heart screamed that I did not.). Coughing, my eyes opened. I was met by our sponsor, teenage aides, and every eye who was in the pool. Smiles of relief acknowledged me. From my perspective, I knew only seconds had passed, but I could see long-suffering’s stress and fear litter their faces. From that moment on, my life was different. I knew that God loved me, and was forever watching me. For Psalms 91:11 says, “For he shall give his angels charge over thee, to keep thee in all thy ways.” And ever since, I fell in love with Jesus because he loved me first. Juan-Jose D. Garza is a fifth-generation Washingtonian. He is a graduate of Washington Adventist University, where he studied journalism, political science, and earned a Masters in Business Administration. 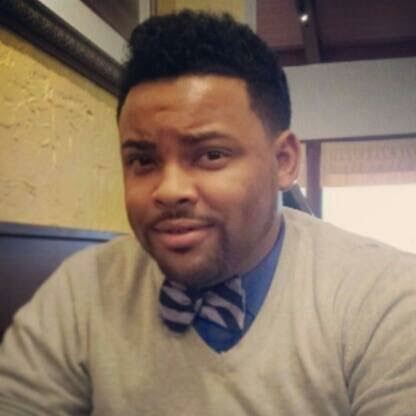 He has written numerous feature articles and inspirational pieces for over a dozen print and online publications, tutors children ages four to 17, serves as a church drummer and worked, volunteered, and consulted for over 20 political campaigns. Most recently, under his pen name Zay Heron, he has authored three novels previously, as his newest, An Erratum, will be available December 1. Welcome Darlene Franklin to the blog today! 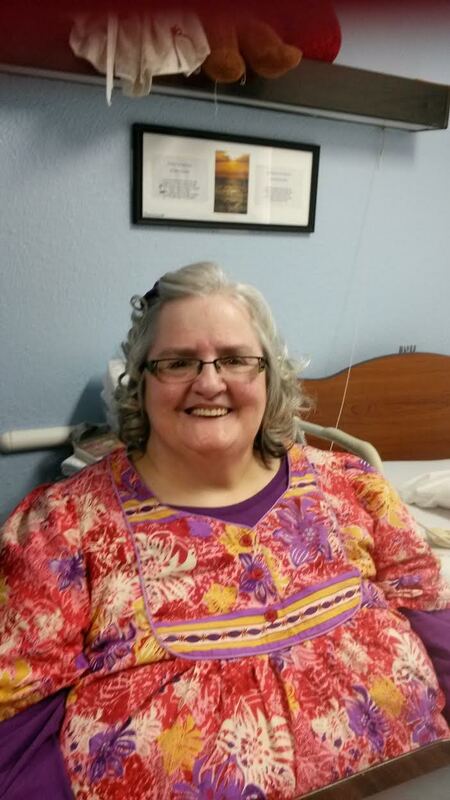 :) She's a Christian fiction author who pens her stories from her residence in a nursing home. I think you will like her! She's been through a lot in life but has not let her trials steal her joy. Darlene is an example of how God makes broken into beautiful. It's just in time for the holiday season! Wondering how you can WIN this book? Simply leave a message for Darlene in the comment section toward the end of this blog post! Send a note of encouragement and ask Darlene any question you'd like to know about her book or her life as a writer. My mother’s salvation when I was seven turned my life around. Church became a regular part of my life, and I felt loved and accepted. Over time I realized I had a sin problem and I needed to be saved, so I asked Jesus into my life. So. Simple. Did I feel loved? Not especially. I was abused by men in my life and partly as a result, I felt I had to be perfect at everything. My Christian life became a list of do’s and don’ts. Belonging to a church that taught you could lose your salvation didn’t help. Nonetheless, my faith thrived. I gulped down the Bible, memorizing chunks, digging through spiritual gifts in 1 Corinthians, and used colors and poems to explain Revelation, outlining Romans. I was well-versed in the Bible. I first studied Romans for the “Romans Road,” the go-to place in the Bible to explain the plan of salvation. (Romans 3:23, 6:23, 5:8, 10:13). But other things hit me in the gut, and drew me to a life-long love affair with the Lord. Romans 6 opened my eyes to an important fact. I had spent my life trying for: I knew God wanted me to be dead to sin. But He also wanted me to be “alive unto God through Jesus Christ our Lord (Romans 6:11). *Of course I studied the King James. Any other translation was considered suspect in my world. My focus changed from the “can’ts” to the “cans.” God wanted me to live life to the full. God loved me that much! Nothing I would ever face could tear me from His side. The truth God revealed to me as a teenage gave me a steel core that wouldn’t allow me to give up in impossible situations. He allowed me to write Christian romances to share His love. He loved me during my divorce. He loved me through my son’s difficult teenage years. He carried me through the aftermath of my daughter’s suicide. 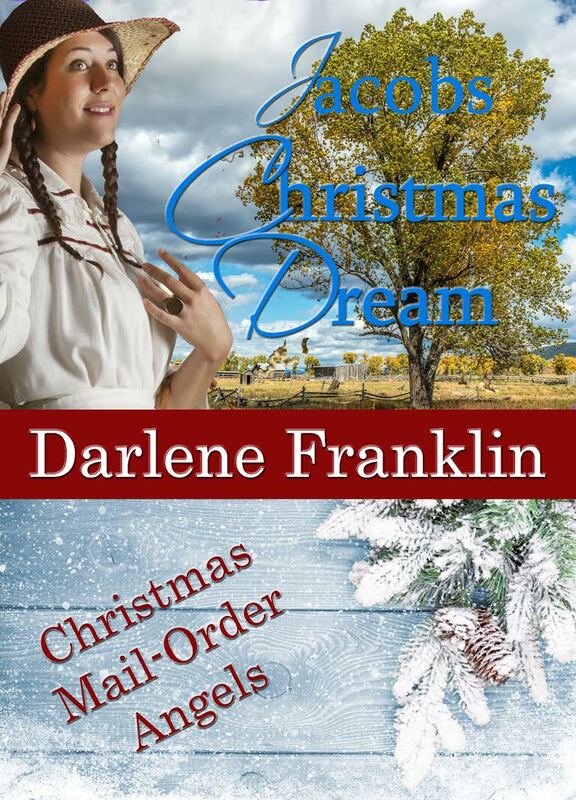 Author bio: Best-selling author Darlene Franklin’s greatest claim to fame is that she writes full-time from a nursing home. She lives in Oklahoma, near her son and his family, and continues her interests in playing the piano and singing, books, good fellowship, and reality TV in addition to writing. She is an active member of Oklahoma City Christian Fiction Writers, American Christian Fiction Writers, and the Christian Authors Network. She has written over fifty books and more than 250 devotionals. 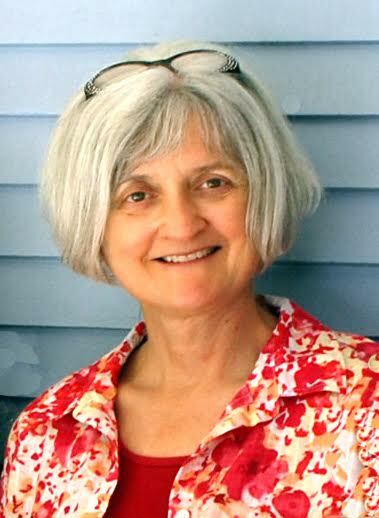 Her historical fiction ranges from the Revolutionary War to World War II, from Texas to Vermont. 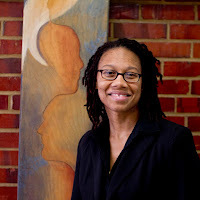 Welcome another teacher-turned-author to the blog, Vannetta Chapman! 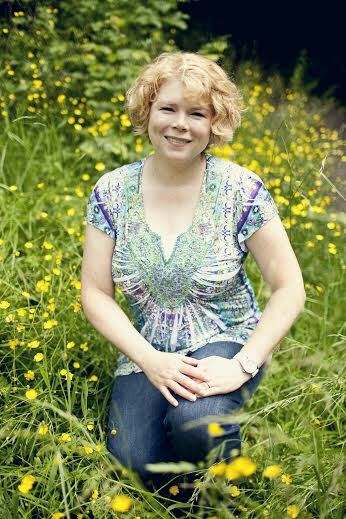 She's written a book called Anna's Healing and she's ready to share it with you! 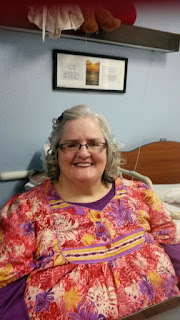 Read Vannetta's author interview below this message AND enter the book giveaway contest through filling out the Rafflecopter widget toward the end of this post, for your chance to WIN a copy of Anna's Healing. Sounds exciting, doesn't it? Enjoy your time with Vannetta today! Alexis: Anna’s Healing starts a new collection written by you. What is the name of that collection and why did you choose Anna’s Healing as the first story? Vannetta: The collection is Plain & Simple Miracles. It’s a collection instead of a series, which means that the stories are all standalones, but they take place in the same community setting. I wanted Anna’s Healing to be first because we’re introducing the community through the eyes of a young girl who is visiting and unsure where she fits in. Also, there was an e-book only novella titled Brian’s Choice which actually came out before Anna’s Healing. Why did you choose to write about an Amish community in Oklahoma? Is it purely fictional or is your story based on real-life people? The community exists, but the place I call Cody’s Creek is actually called Chouteau. I wanted to write about a place closer to where I live. Since I’m in Texas and we only have one very small Amish community, Oklahoma seemed like a good choice. The story itself and the people are fictional. Why did you choose to make family and love the theme of this new collection? Some of the most important and influential relationships occur within our families. When Christ tells us to “love your neighbor as yourself,” I believe that starts with your family! How much time did you spend writing Anna’s Healing? What was the most challenging part of the writing process? I’m on a fast deadline for these books, so I believe I wrote it in four months. The most challenging part was figuring out where to take the story after Anna is healed. 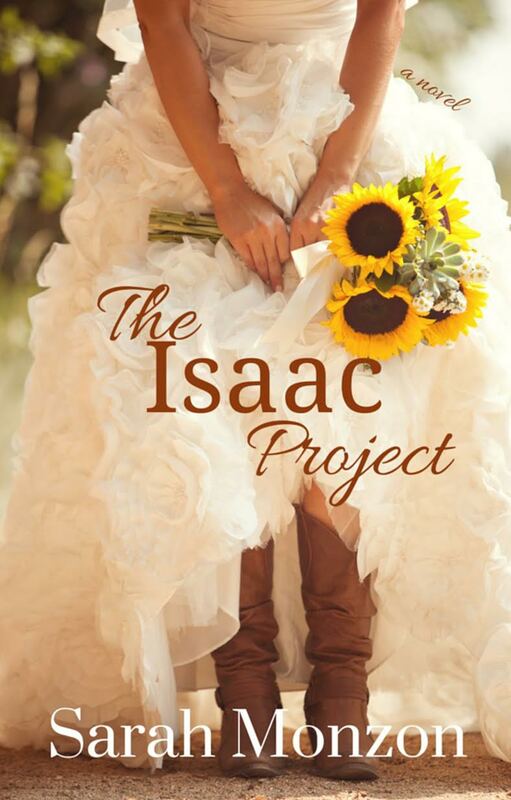 Let’s talk about your three main characters (not including Anna): Chloe, Jacob and Ruth. Describe the strengths, quirks, flaws, and deepest desire. Chloe is Englisch—she is standing on the outside looking in. She’s a reporter and she strikes up this unusual relationship with a young Amish woman. I like how I was able to provide an outsider’s perspective through Chloe. Jacob is not your typical Amish male. He’s restless. He isn’t ready to settle down, and so he travels from one community to the next, helping with planting and harvesting. When he lands in Cody’s Creek, he has no idea that God has a completely different plan for his life. I loved the development of this character as he learns to put the needs of others before his own. Ruth is a cornerstone of this story. She’s 89 years old and shrinking, but she’s a giant in the faith. 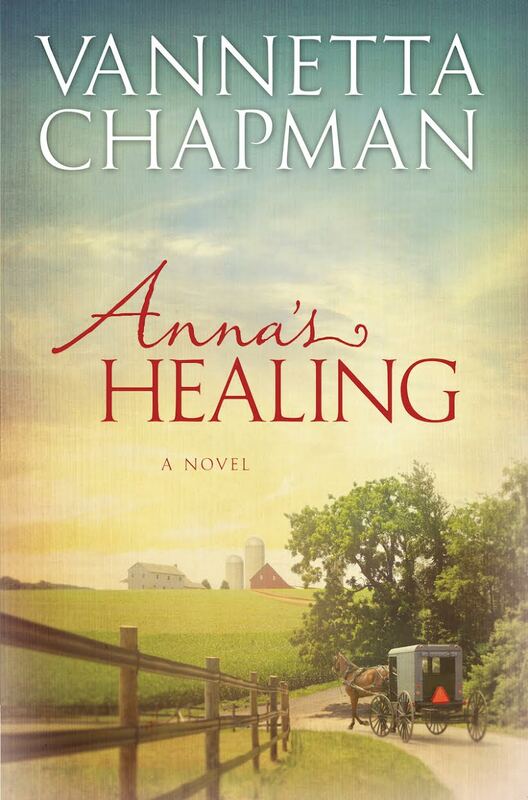 It’s Ruth’s love and faithfulness that leads to Anna’s healing. Let’s talk about your heroine Anna. When the reader first meets Anna, what is she doing? What does Anna love? What does she dislike? What is the reason for her sickness and what impact does her miracle healing have on her community? We start this story with Anna trying to find her place in Cody’s Creek. She’s agreed to live with her aunt for a year because she can’t find a job (or a man) to suit her. Anna loves her family, but she feels like the black sheep. Then she’s injured during a tornado. Why Anna? Why now, when she’s in the prime of her life? Why is she healed, not immediately, but many months later? These are all questions we grapple with in the story. That God’s grace is sufficient, regardless our circumstance. As a woman who believes in God, do you think He still can heal people miraculously just like he did for your fictional character Anna? Why or why not? Yes, I do. Like many believers, I don’t understand why God heals some and not others. We have people in our family with what is called a “dread disease.” Why us? Why now? These are all questions that believers struggle with. In the end, I can only trust and believe that God’s grace is sufficient. What do you love the most about writing Amish fiction/romance? I love their down-to-earth attitude. After meeting so many Amish folks, it’s a joy for me to write about their lifestyle. As a writer, what is your go-to-food or beverage when you’re on deadline? Coffee. Always coffee. And occasionally chocolate! What’s next for you in your publishing dreams? Joshua’s Mission (book 2 in this collection) releases January 1. I adore this story, which centers around Amish participation in missions, something few people know about. Thank you for the interview, Vannetta! Please leave a question for my readers to answer that will qualify them to enter your book giveaway contest. What is your go-to-food or beverage when you’re feeling pressured? 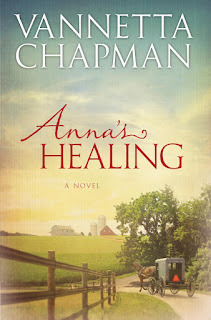 Anna’s Healing is the first book in a brand-new collection from popular author Vannetta Chapman. These stories of love and family and Amish community in Oklahoma tell of the miracles that can happen when lives are lived in service to God and to one another. When a tornado strikes the farms surrounding Cody’s Creek, Anna Schwartz’s life is changed forever. She suffers a spinal cord injury and suddenly finds herself learning to live as a paraplegic. Three people—Chloe Roberts, Jacob Graber, and Ruth Schwartz—join forces to help Anna through her darkest days. Chloe is an Englischer who writes for the local paper. Jacob has recently arrived in town and stays on as a hired hand at her uncle’s. And Ruth is her grandmother, a woman of deep faith and a compassionate spirit. Then one morning Anna wakes and finds herself healed. How did it happen? Why did it happen? And what is she to do now? Her life is again turned upside down as the world’s attention is drawn to this young Amish girl who has experienced the unexplainable. 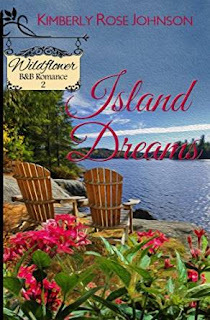 Today, the hero of her book Island Dreams is going to give you a tour of Wildflower Island which is the setting for the story. Enjoy the tour! Hi there, my name is Chase Grayson. I’d like to take you on a tour of my home, Wildflower Island! It’s best to start from the ferry landing. You may notice that we don’t have a sandy beach. I suppose most people would prefer sand, but God gave us a pebbled beach instead, which suits me fine. If we had white sandy beaches the tourists would be flocking to my small island in the Puget Sound. It’s not really my island, but I love it as if it were my own. Just yesterday I was reminded when the ferry dropped off Piper Hunt—a land developer whose family owns about half of Wildflower Island—that this land is not mine. In fact, I own a very small portion. I still can’t believe what she wants to do. She plans to build a resort. A resort! And her land abuts mine. No way do I want a resort next door. Sorry, I get distracted thinking about that woman and her plans. Anyway, back to the tour. Up ahead and on the left is the driveway to Wildflower B&B where Piper is staying. The B&B is a nice place and has a great view of the Sound from the backyard. If you continue on inland you’ll pass by the general store, but don’t blink or you’ll miss it. A little further on and you’ll happen upon the golf club, which has the only nice restaurant on the island. I’m meeting Piper there tonight for dinner, so she can show me her new plan for her resort. She seems to think I have the ability to push her project though to the town council. But as far as I’m concerned we don’t need more people clogging our roadways. Plus there aren’t enough businesses to service the amount of people Piper’s resort would bring anyway. I digress. Sorry about that. I know you want a tour, but there’s really not much more to see except a few churches, an old schoolhouse, a bunch of trees with houses sprinkled in here and there, and a few lakes. We’ve done a good job at preserving the natural beauty of the island. People who come here to visit enjoy water sports, hiking, biking, and relaxing. I personally enjoy kayaking. It’s a favorite pastime. Oh, but before you go I’d love to give you a tour of my yard. I’ve worked hard making it a showpiece for my landscaping business. I designed a lookout that has an amazing view of the Sound. And here we are. The driveway is long and private just the way I like it. Isn’t the view something? The sailboats are my favorite to watch on nice days like today. Feel free to enjoy the view, but I need to head in and get ready for my dinner date with Piper. Somehow I have to convince her that this island is a bad choice for her development. I know I’m playing with fire when it comes to Piper, but I actually like her. She’s nice and seems to want to do right by the land. I at least need to give her a chance to pitch her proposal to me. Not that what I think matters, but I suppose anyone would appreciate a supporter. Thanks for visiting. I’m sure you can find your own way back to the ferry. Kimberly Rose Johnson, soon to be empty-nester, lives in the Pacific Northwest with her husband and their yellow lab. Island Refuge is her sixth published book and the first in a series of three. Kimberly enjoys long walks, chocolate, and mochas, not necessarily in that order. Piper Hunt arrives on Wildflower Island to develop family property into an upscale resort knowing this may be her last chance to prove her worth to her father. With grandiose ideas, she soon finds herself at odds with adjoining property owner, Chase Grayson. As she begins to appreciate the simplicity of the island, she struggles to maintain balance between her father’s wishes, preserving the natural beauty of the island, and her attraction for Chase. Chase Grayson values the peace and quiet of Wildflower Island. That serenity is threatened when Piper Hunt discloses her plans to develop an upscale resort that not only butts up to his property, but will turn the island into a busy tourist destination. In fighting her plans, he also finds himself fighting his attraction to her. If he doesn’t stop her plans for the resort, his life will be altered forever. If he succeeds, it means he will never see her again. Can he live with either choice? WGTS 91.9 Words of Hope: "Fear"
WGTS 91.9 Words of Hope | 008 - "Fear" from WGTS 91.9 on Vimeo. Who would have thought that a broken heart could result in finding True Love? Such is the story of Mrs. Shari Loveday! She knows firsthand what it's like to have your heart shattered to what looks like the point of no return and she knows what it's like to have Jesus Christ mend your broken heart and return love to you in a way that lasts for eternity. Welcome Shari to the blog today as she shares her story of how God created beauty out of her brokenness and redirected her to her First Love (Jesus Christ). Please note: God also sent Jeremiah Loveday to Shari's life and blessed their marriage with children and happiness! See, when God restores, He does it in a holistic matter with more than you could imagine! Enjoy your visit with Shari. The break-up had done just that. It had broken me, and I felt I would never be able to pick up the pieces of my life. To make matters worse, I had to watch him be happy with his new, old girlfriend. Each time I saw them my wounds reopened, and I thought I could physically die from the emotional pain. The week before, it was his dog tags around her neck. The day before, it was the two of them walking hand in hand across campus. On this particular day, he had walked right into my job. Unable to escape the harsh reality I was faced with, I sought God for help that I knew only He could give me. I begged Him to make it better, to stop the pain. The next day, we got a new book on the shelves at the bookstore. I randomly picked it up and began flipping through it. I didn’t know what I was looking for or what I thought I would find in its pages, but I felt compelled to read it. Not long into the book, I came across a poem titled, "Come to Me First." Here, God reminded me that He knew what I was going through because I had set Him aside so many more times than I, myself, had been cast away. I had stood Him up and scorned His love for another’s. He too was jilted, and hopelessly in love with someone who was inconsistent and inconsiderate. He begged me to come to Him first with my everything. “Build your life on me," He entreated, “and I will never let you down. Even when the one you love walks away, your life will not crumble because you will have built it on Me. I allowed this heartbreak, so you’d never be broken again." "Come to Me first," He begged. Those words changed my life. I began building a real relationship with Jesus. I kissed dating goodbye and said yes to a courtship with Him. I resolved to go to God with each problem, desire, good idea, joy, sorrow, accomplishment, failure…my everything. I built my life on Christ, so that I would never be broken again. Before this broken moment I had a primarily cognitive knowledge of God. After the break, I came to know Him as the Lover of my soul. He fulfills my life with His tender care of me and never seems to grow weary of me. He waits by my bedside to hear the first words I utter, and He is there once again as I lay down to think my last voluntary thoughts for the day. My whole life, I searched for a love that transcends everything, but I thought this would be found in a mate. It took a long, confusing search, two major heartbreaks, and a whole lot of frogs to learn that it is only in Him I will find what my soul has sought since its conception. 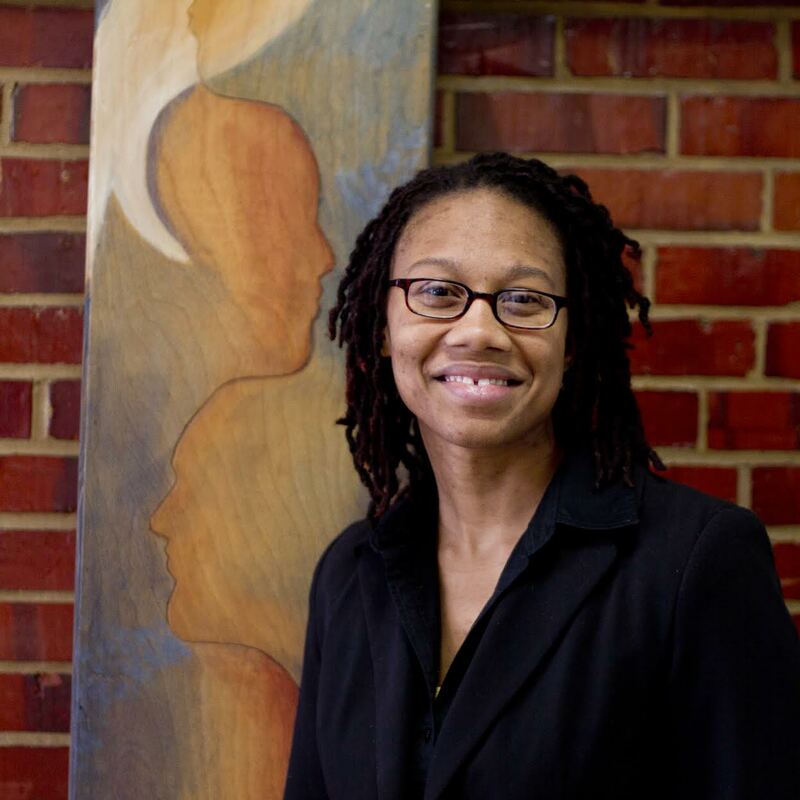 Shari Loveday is an author, a poet, a teacher, a preacher, and a life coach. She is a sister, a friend, a wife, and a mother. She tries to wear all these hats well, but the role she most focuses on these days is that of a faithful disciple of Jesus Christ. She has found that mastery in that one area ripples success through all the others. Shari understands her God given purpose in life to be freeing the mind and hearts of women so that they can be their best selves. She does this through writing, speaking, coaching, dreaming, and living. If you ask her why she is here she will say, "To teach women that finding purpose equals power!"